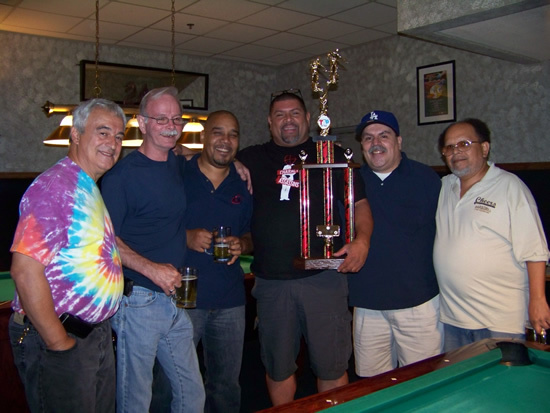 The 2012 Vegas Masters 8-Ball State Championship & National Qualifier concluded on August 5 at Mickey's Cues & Brews with 1st, 2nd and 3rd place advancing to TAP League Nationals in Charleston, South Carolina in November. 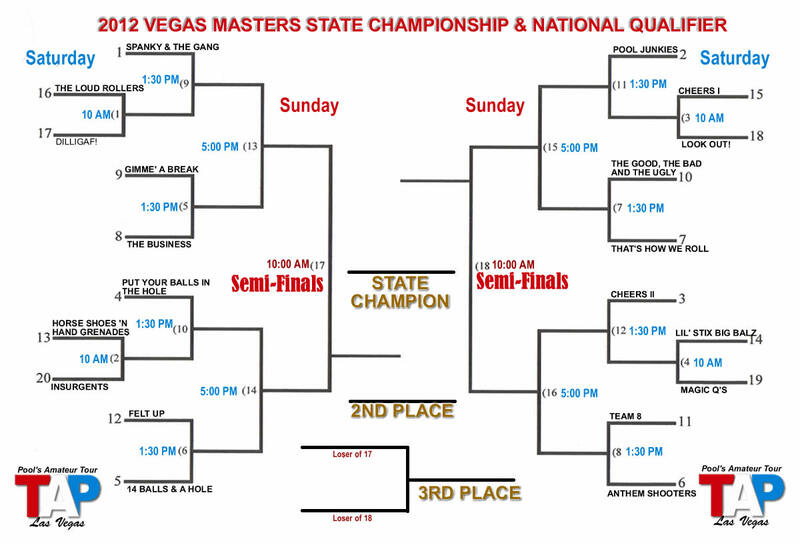 This was a record year for the Vegas Masters with 36 teams/188 players competing. The first weekend of the tournament was awesome! 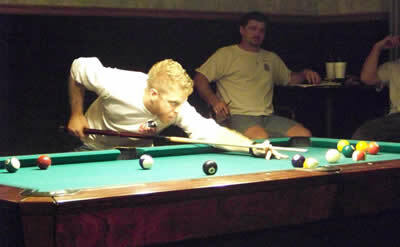 The teams competed in a round robin tournament for a chance at 15 points. The top 50%, which ended up being the top 20 teams with 8 points or more, advanced to the Championship Tournament for a chance to advance once again and compete in South Carolina. The bottom 16 advanced to the Best of the Rest Tournament to win a total purse of $1,000. 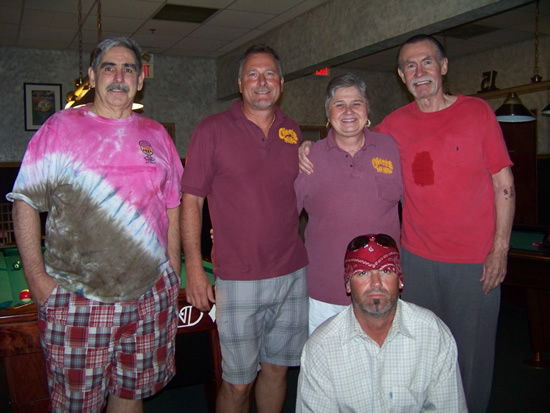 The round robin tournament ended with Spanky and the Gang and Pool Junkies on top earning 12 points out of a possible 15! Earning a very close second with 11 points, were Cheers II, Put Your Balls in the Hole and 14 Balls & A Hole. Both the Championship and Best of the Rest tournaments began Saturday, August 4 and concluded on Sunday, August 5. 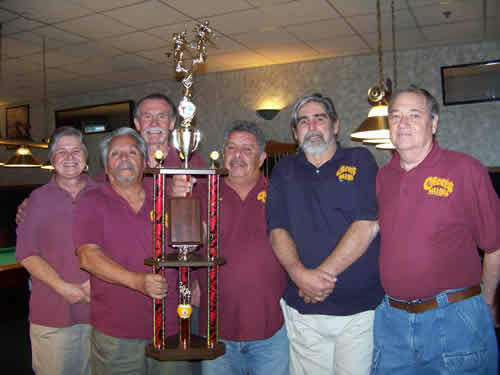 The Championship Tournament ended with The Good, The Bad and The Ugly being crowned our 2012 8-Ball State Champions, Spanky and the Gang in 2nd place, Felt Up in 3rd place and Cheers II in 4th place. Interestingly enough, this will be the second year that The Good, The Bad and The Ugly will be competing at TAP Nationals, but the first year they will be traveling. Last year, with a slightly different roster, they took 3rd place in the Vegas Masters. They went on to compete at Bally's in Las Vegas in the 2011 TAP League Nationals. They finished in the top 16 and won $900! A couple of the other players are no strangers to Nationals either. Gerald Branham competed in the team tournament in 2010 and at Rally in the Valley in 2011. Alex Pernas competed in singles and placed in 2010 and 2011. The top 3 teams received prize packages totaling over $12,000 and will be advancing to TAP League Nationals to compete on all Diamond tables in Charleston, South Carolina from November 2 through 6! Should any one of those teams be unable to attend, Cheers II will be joining the other 2 teams. Hideaway Hustlers and Faded 8's made it through the Best of the Rest Tournament undefeated. In the end, in an amazing show of good sportsmanship, the two teams split the $1,000 purse and were home in time for dinner. They shook hands and even hugged, as they called it a day. A very special thanks to Robin, Shawn and Steve at Mickey's for their hospitality and contribution to our tournament. There pool room is amazing. Also, thanks to Grant Gilbert, Scott Moden, Greg Cottle and Mark Mahon for volunteering to referee. All of these people are key to the success of our event and are greatly appreciated! 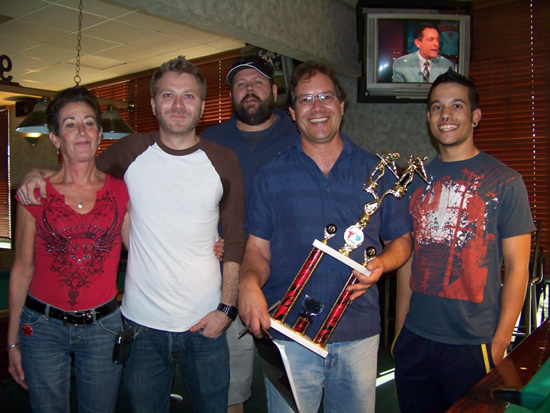 Congratulations Nine-Ball Cheers, the 2012 9-Ball State Champions. 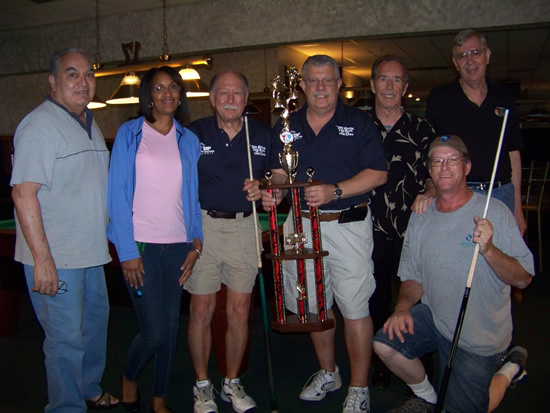 The team took first place in the 3rd annual Vegas Masters State Championship & National Qualifier tournament held June 23 & 24 at Mickey's Cues & Brews. They went undefeated with an outstanding finish, winning the match against Whatever, 3 to 0 in the finals. 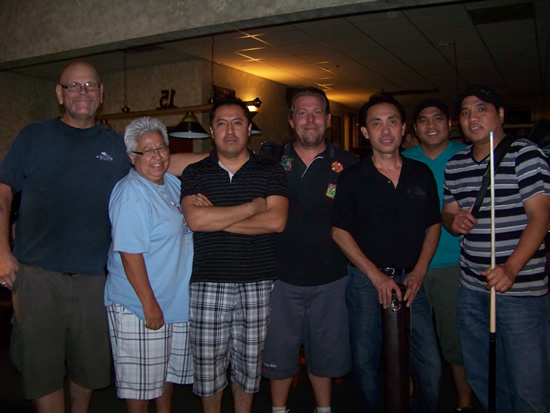 Nine-Ball Cheers will represent Las Vegas while competing in the 2012 TAP League National 9-ball team event. The event will be held at the Embassy Suites in Charleston, South Carolina on November 3 through 6. In addition to earning the title of State Champions, the team won a travel prize package worth over $3,300 and an awesome team trophy to sport at Cheers Bar! Thanks to all of the teams and players who competed. 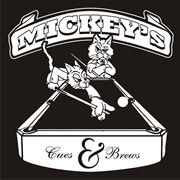 A special thanks to Shawn, Robin and Steve of Mickey's Cues & Brews for their hospitality and contribution to these exciting annual events! between June 11 and October 1.